It’s here! My fifth consecutive Owlcrate box. 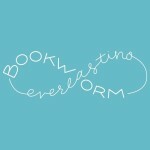 For those who may not know what Owlcrate is, it’s a monthly subscription box that contains a hardcover book and other bookish goodies. Below is what was inside February’s Owlcrate. February came with two books! That has never happened before and I was overjoyed to receive both. I am in love with the red of the tote. Sadly, I have yet to read the series, but this gorgeous tote certainly made me want to. The brooch is amazing quality. It’s heavy duty and the design is wonderfully done. 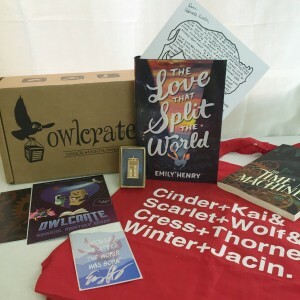 I am so happy The Love That Split The World was in February’s Owlcrate. I’ve been eyeing that book for awhile and have heard a lot of raving about it. Each Owlcrate comes with a cute postcard with a description of what’s inside the box on the back. I’ve been collecting them because the postcards are always so adorable and clever. 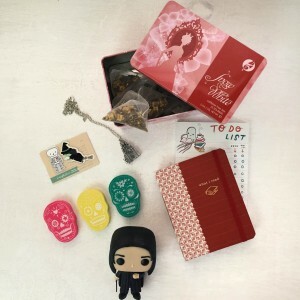 Also, just some of the bookish goodies that were in previous boxes were things like sugar skull erasers, castle locket, tin with tea bags, magnetic bookmarks, to-do list notepad, reading journal, and a Funko! Yes, a Funko came in the January Owlcrate. I screamed and jumped around the house when I got that one. 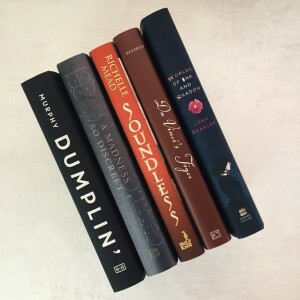 If you would like more information such as the monthly cost and shipping prices, or to subscribe and start getting your monthly Owlcrate visit their website at owlcrate.com.